Dr. Badrudin Kurwa MD, FACS, FRCS(C) received his medical degree from the University of Birmingham, England in 1975. He was trained at St. Joseph’s Hospital in Toronto Canada and completed his residency in General Surgery at University Hospital in Jacksonville, Fl. Dr. Kurwa has practiced in Arcadia California since 1985. Since then, Dr. Kurwa has attended additional courses including the Lancaster Basic Science Course in Ophthalmology by the Massachusetts Eye and Ear Infirmary, Ophthalmology Review Course with the Armed Forces Institute of Pathology. Dr. Kurwa is the Chief Surgeon at the Kurwa Eye Center, a leading laser vision correction center serving the Los Angeles County community for years. Dr. Kurwa is Board Certified by the American Board of Ophthalmology and is a member of the American Academy of Ophthalmology, as well as a fellow of the American College of Surgeons. 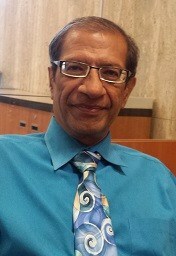 His unique contributions to ophthalmology include several patents on ophthalmic techniques. Dr. Kurwa is both innovative and always on the cutting edge of technology. Another new technology offered by Dr. Kurwa to improve reading vision in patients over the age of 40 is Conductive Keratoplasty or “CK.” This procedure is available for patients having difficulty with near vision. The doctor uses radio frequency energy, as opposed to laser energy, to steepen the central cornea, this gives patients increased ability to view small print at close distances. At Kurwa Eye Center you will be provided with the personalized care you deserve.